Porsche is unveiling an all-electric vehicle, the Mission E Cross Turismo, at the Geneva Motor Show. Tesla who? The latest release from Porsche will have you asking the same question. The Mission E Cross Turismo from Porsche is electric mobility in its most beautiful form yet. This concept vehicle made its first appearance at the Geneva Motor Show on March 8, 2018. The Porsche Mission E initiative has been in the works for quite some time and represents the future for the German automaker. The green light for the project was officially given by the Porsche supervisory board back in January 2015 and the company has been working on hybrid and electric vehicles ever since. With the goal of backing sustainable growth, Porsche invested around 700 million euros into Mission E, creating more than 1,000 new jobs. The brand’s main facility in Stuggart-Zuffenhausen also received major improvements to make sure that it could develop and produce electric models to perfection. A major shift among major car manufacturers became apparent when the industry began steering away from Formula 1 and investing their time and energy in Formula E. Porsche was among the group to make the switch, solidifying any questions remaining about Porsche’s intentions for creating electric and hybrid engines. Auto manufacturers develop their best technology on the racetrack The movement Formula 1 to Formula E demonstrates Porsche’s interest in developing technology associated with electric engines. As reported by Forbes, U.S. electric vehicle (EV) sales have grown an average of 32 percent annually from 2012-2016 and 45 percent over the year ending June 2017. Energy Innovations’ Energy Policy Simulator predicts that EVs will make up 65 percent of new light-duty vehicle sales by 2050, and EV sales could reach up to 75 percent by 2050 in the event of high oil prices or strong technology cost declines. 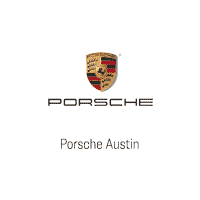 In full anticipation of this market shift, Porsche poured their resources into developing an EV worthy of the Porsche crest. This vehicle couldn’t be just any EV, it has to be a sports car with all-electric drive systems that can truly meet Porsche’s standards for intelligent performance. The original Porsche Mission E concept car first graced us with its presence back in September of 2015 at the Frankfurt International Motor Show (IAA). Now we have another concept car—the Porsche Mission E Cross Turismo. The Porsche Mission E Cross Turismo is a Cross Utility Vehicle (CUV) with unmistakable Porsche DNA. Measuring 4.95 meters in length, the vehicle has all-wheel drive and an 800-volt architecture. The Mission E Cross Turismo builds upon the Mission E study Porsche demonstrated at the IAA in 2015, utilizing elements that are close to series production. The e-performance of the Mission E Cross Turismo holds true to the Porsche name with an output of over 600 horsepower. Two permanent magnet synchronous motors (PSM) allow the Mission E Cross Turismo to accelerate to 100 km/h in less than 3.5 seconds and reach a speed of 200 km/h in under 12 seconds. An all-wheel drive with Porsche Torque Vectoring automatically distributes torque to individual wheels, guaranteeing power on any surface. The all-wheel steering contributes to the overall agility and stability of the vehicle while adaptive air suspension increases the ground clearance by 50 millimeters. Porsche Dynamic Chassis Control (PDCC) will also be found in the Mission E Cross Turismo, providing active roll stabilization and preventing side tilt on the vehicle when cornering. The PDCC will also reduce the lateral rocking of the EV on uneven surfaces. Charging of the Porsche Mission E Cross Turismo is surprisingly fast and straightforward. The 800-volt architecture of the vehicle ensures that the lithium-ion battery can be charged for a range of around 250 miles in just over 15 minutes. Charging of this vehicle is flexible and can happen on the road or at home. The vehicle will be prepared for connection to the fast charging network that is being created on arterial roads as part of an IONITY joint venture. The battery for the Mission E Cross Turismo can be replenished using induction, a charging station or a Porsche home energy storage system. The technology being developed for the Mission E Cross Turismo is unlike anything we have seen in current Porsches. This EV will have a driver display with eye-tracking controls. By using a camera in the rear-view mirror, the eye-tracking system will detect which instrument the driver is looking at on the display. The instrument the driver is focused on will be brought to the foreground while the others are made smaller as the driver looks away. Operations are carried out using the smart touch controls on the steering wheel. The Mission E Cross Turismo will also have a passenger display that extends across the full width of the passenger side. This feature will also utilize eye-tracking technology. The passenger can operate various apps to control features such as media, navigation, and air conditioning. Porsche Connect already offers more than 20 digital services/apps but the brand is introducing new software called DestinationsApps for the Mission E Cross Turismo. This app provides users with travel destinations, facilities booking and handles route planning, food, and sports equipment. The DestinationsApp will even allow users to adapt the body of the Mission E Cross Turismo to the chosen route and select appropriate music, air conditioning settings, and ambient lighting. After three years of research and development, Porsche has entered the final stages of developing an EV up to their strenuous standards. Whether or not the Mission E Cross Turismo will enter production is still up for debate though. Porsche took to Twitter to gauge whether this is something their customers would want to see in Porsche showrooms around the world. Of nearly 13,000 participants that participated in the Twitter poll, 74 percent voted for the Cross Turismo to go into production. There is no doubt that Porsche will be producing an all-electric vehicle in the near future. Which model will it be? Well, that has yet to be decided.